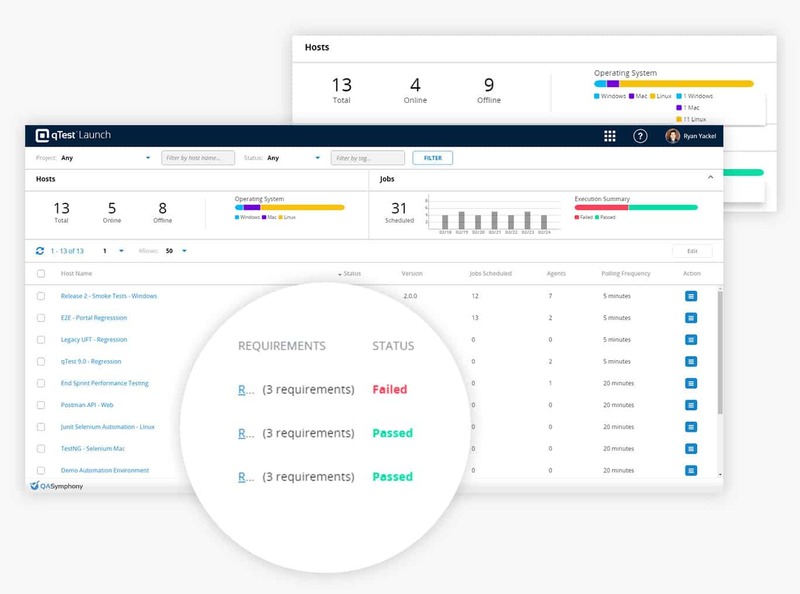 The qTest platform provides Agile teams with a suite of software testing tools designed to improve speed, efficiency and collaboration throughout the software testing lifecycle. Your data, your way. Arrange and display charts and graphs exactly the way you want. 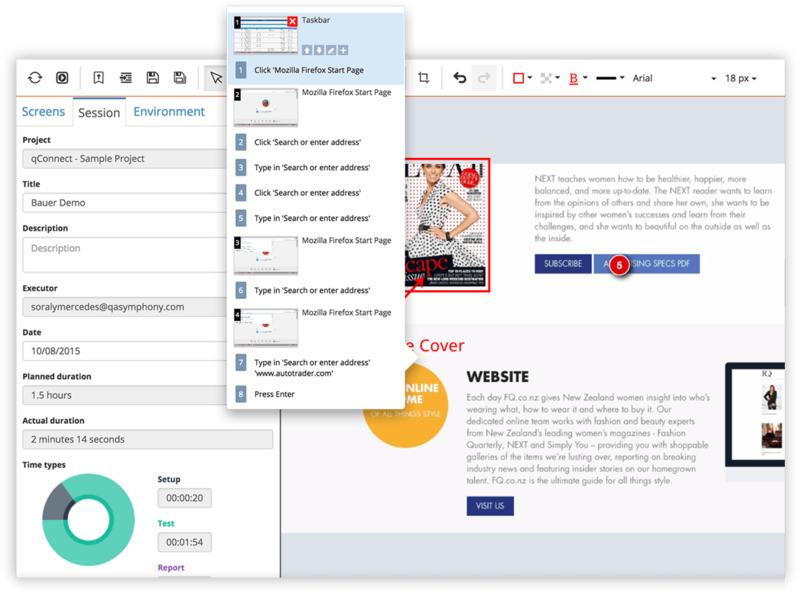 Tabs let you create multiple dashboards for different projects or teams. Hover over charts to view specific data points. Zoom in and dynamically adjust the charts. Click on a chart to view and download the data. 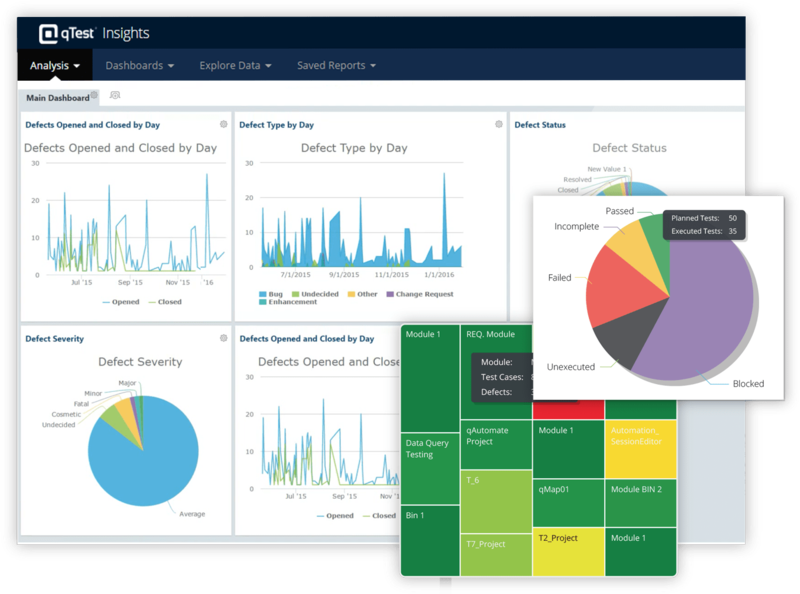 Visualize your data with interactive heat maps that help quickly identify where the issues are in the application. Then drill down to get more details. Learn how QASymphony can migrate your existing HPQC data to qTest - the #1 Agile testing solution for the enterprise. In a development world moving at the speed of DevOps, qTest Launch provides a scalable test automation strategy for the Enterprise. 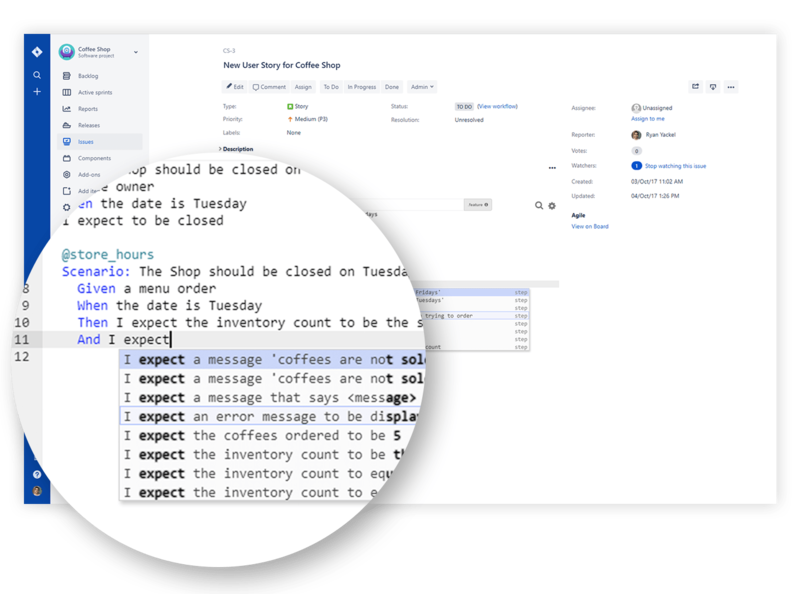 qTest Scenario – BDD for Jira is a free add-on to support the end-to-end BDD collaboration directly in Jira, allowing teams to optimize and scale the Test-First approach across the enterprise. Intelligent capture technology tracks all interactions from the testing session and automatically creates defect documentation. Easily manage and edit the defect documentation. Quickly add annotations and other information. Instantly submit detailed defect documentation to Jira so you can share with team members. Perfect for exploratory and session based testing. 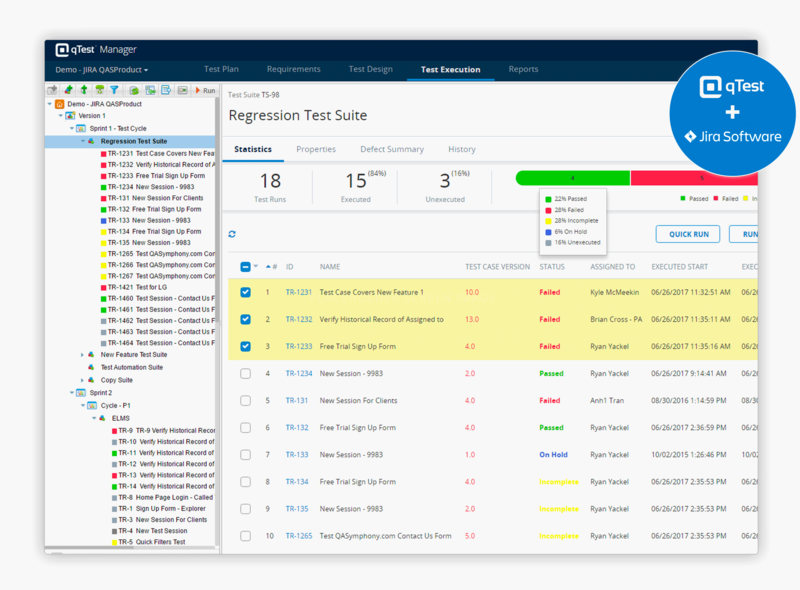 qTest software testing tools integrate with issue trackers, ALMs, test automation tools and more. View all integrations. 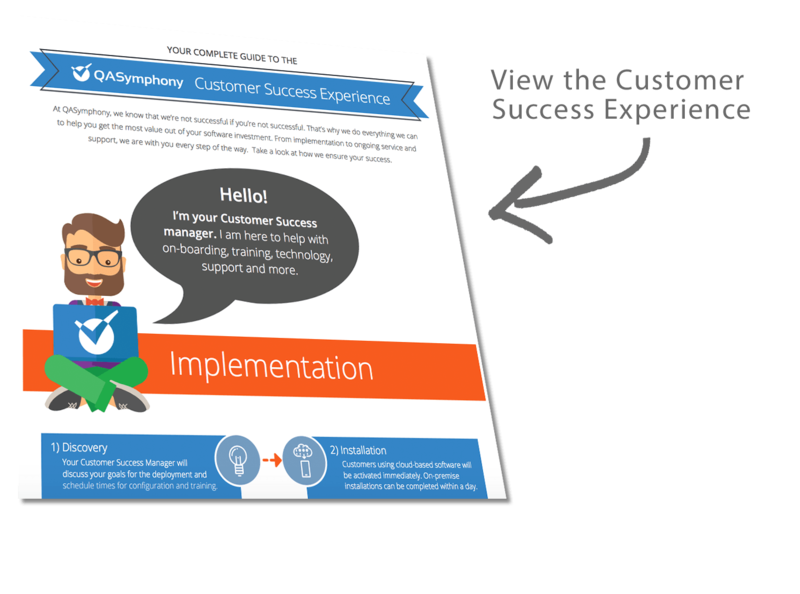 We’re experts at listening, helping and solving — after all, client success is our top priority. A customer survey, 96% of paid qTest customers would recommend qTest to a colleague.